We had an elephant where I worked. It was the pink elephant in the room and everyone contributed to the care and feeding. 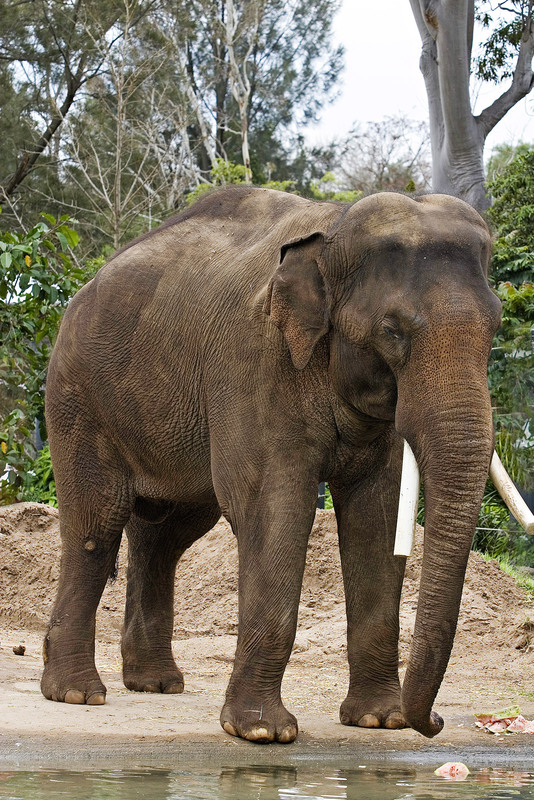 Even when it is a small elephant, the vet bills can be quite steep. Which isn’t to say I don’t enjoy the circus, but it would be nice, sometimes, to be able to sit back and just munch on popcorn, rather than always making the acquaintance of yet another new vet for one ailment or another. Thankfully, I also happen to live with a couple of clowns, so that makes the days a bit more tolerable. Almost. Mostly. Clowns make even dung clean-up tolerable. Sometimes. Personally, I think the bank/mortgage company should kick in on the maintenance end of the elephant, after all, it’s their elephant too.. Share and share alike.. Right? Ah, I wish I had only one elephant. Ours had babies. They are smaller and we gave them different names (like Orchids, Art Collection, Garden, and Family Heirlooms) but they also require a lot of care, especially mental and emotional. It wasn’t a circus in the beginning but it is now. We plan to have ours neutered. You got that right. Elephants keep you mighty busy and they cost far more than you expected. Enjoy! I’ve heard they can crush you if you’re not careful. We are trying to be careful. Our elephant is just finishing a skin/cosmetics treatment, lovingly administered by family specialists. Her pretty mauve-and-plum make-up is nearly completely restored, and some troublesome cracks and scars and injuries have been treated. Now when I come home to her, her eyes have their old welcoming sparkle and I remember how much I love her! Worth any amount of trouble. May your elephant be the same for you! Thanks, RAB. So glad to hear that your elephant is healthy and has had its beauty restored. Great post as usual. I downsized to a much smaller elephant. Someone else does the maintenance and poop patrol duties now. This compact model comes with a very small trunk, but then again, at this age what do I need a big trunk for anyway? Just remember what W.C Fields had to say about elephants, “…nice to look at but you wouldn’t want to own one.” Oh wait…you do! May your days be filled with happy pachydermic memories. Thanks, Pat. We got a mid-sized elephant, so extended family members can ride along sometimes. Oh I do love elephants. And as much of a hassle as they can be, they are worth the cost and hassle. Those morning rides are the best! I agree. The sunrises and sunsets are the best. I loved this story, year stricken… because it is told so well, and is familiar to so many of us. And as you probably noticed, I’m engaged in similar sport… trying to move my elephant down the road to greener pastures. If someone were to offer to take him completely off my hands, I’d be relieved. But over the years, we’ve gotten so used to one another, that it would seem unforgivable cruelty to put him down… and then I’d have to justify myself in front of all the ‘animal rights’ people too. But reading your story, I had momentary relief, as I nodded my head and smiled. I’m glad it made you smile. i never thought I’d be an elephant keeper, but along with the sense of responsibility, there’s a definite pleasure. When the elephant in the room is the room. I am anticipating the acquisition of an elephant. The above is pretty much exactly how I think it is going to be. I love my parents’ grand old elephant so much – even though it causes them lots of trouble and expense – and I want a little one of my own. May you find the perfect one. Funny how everyone seems to want an elephant. From everything I saw or read, everyone is supposed to want an elephant. So, I have an elephant, and find that I am not everyone. I would gladly surrender the elephant for a bit of breeze. 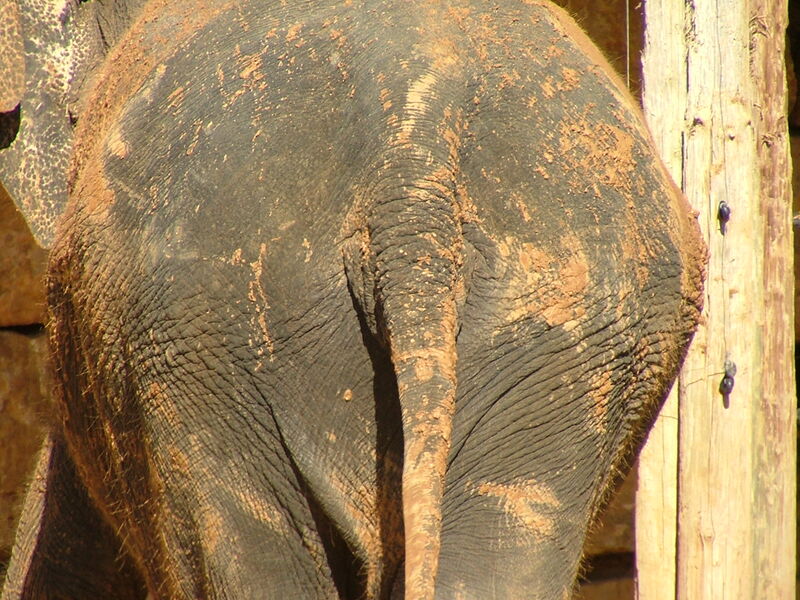 We tended other people’s elephants all our lives and never considered buying our own. We didn’t have the time or inclination. Since we have finally settled in one place – in our sixth decade – we decided to invest in one. I can certainly understand your feelings. They can tie you down to one place. As the mother of 3, our elephant never seems to be big enough. We have a very large elephant, and yet there are always more things to put on her back. When my out of state friends arrived last year for Christmas with their 3 children, they left their elephant behind, and our elephant was very crowded indeed. But we were glad to have her. I’m sure you are making great memories for your kids. We keep those early memories of the elephant(s) we rode through childhood.